Alleging the then chief secretary P Rama Mohana Rao's role in the conspiracy, the counsel said at the time of Jayalalithaa's hospitalisation in 2016 Rao had "purposely given false evidence". 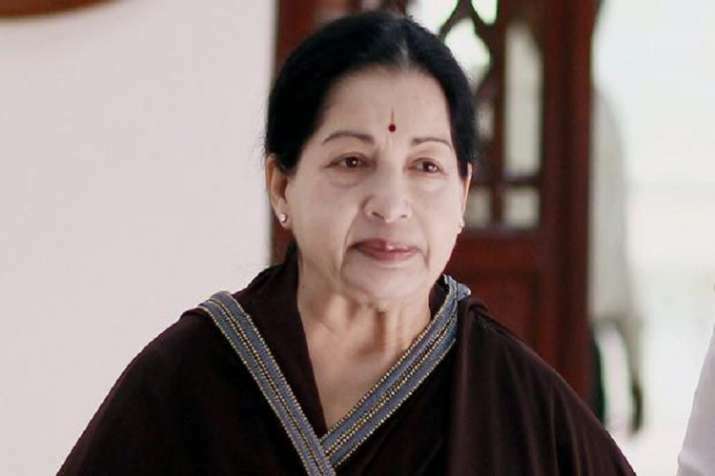 A counsel for a Commission of Inquiry probing the death of former chief minister J Jayalalithaa on Sunday alleged that Tamil Nadu Health Secretary J Radhakrishnan colluded and conspired with Apollo Hospital and "inappropriate treatment" was provided to her, PTI reported quoting sources. The allegations were strongly refuted by both the health secretary and the hospital, while the former chief secretary said he was not aware of the petition. The standing counsel for the Justice A Arumughaswamy commision, Mohammed Jafarullah Khan, in a petition before the panel has sought to implead Radhakrishnan and Rao as respondents. The counsel's petition alleges that the health secretary made contradictory statements before the panel and the official was also against taking Jayalalithaa abroad for treatment. "While so it is apparent that the evidence of the health secretary is not only contradictory, but also suggestive of conspiracy and collusion between the health secretary and Apollo Hospital with regard to the inappropriate treatment of the late chief minister," the petition claimed. "At times, he speaks like the spokesman of the Apollo Hospital, which speaks volume to the collusion and inaction in the matter of treatment of late chief minister," it claimed. When contacted, Radhakrishnan dismissed the allegations levelled against him as "unfounded, baseless and wild" and said that he had, so far, not been served a copy of the petition filed by the commission's counsel. The allegation that he "conspired and colluded" with Apollo Hospital and acted like its spokesperson was "not only false, but also slanderous", the top official said. "These allegations have caused tremendous stress and mental agony to me...in reality I have only discharged my duties to the best of my ability," he told PTI. He said the treating doctors from Apollo and specialist consultants had concurred with the line of treatment for the former chief minister. "Whether to take her or not to a foreign destination for treatment was purely a medical decision for which it would not be correct to hold an official like him responsible," he said. The official said at no point was any procedure or treatment that was "unavailable" in India sought for her. He said that later it was ascertained that the former chief minister herself did not personally want to be treated abroad. On January 4, during his scheduled deposition, Radhakrishnan said he would answer queries and clear the air vis-a-vis the allegations. Regarding Rao, the panel's counsel said the former chief secretary had "purposely given false evidence", and recommended action against him under the Commissions of Inquiry Act. Khan, in his plea, said while Rao had deposed that he had apprised the government of signing (along with the former CM's aide Sasikala) about 20 consent forms for Jayalalithaa's treatment, the incumbent chief secretary has replied that no such letter (apprising the government) was received. "From this, it is very clear that former chief secretary had purposely given false evidence before the commission," the petition said. When asked for his reaction, Rao told PTI, "I am out of station and not aware of it." The Apollo Hospital rejected the allegations and in a statement said, "It is surprising that the commission is itself filing this petition against other parties." It said the proceedings before the inquiry panel cannot be "accusatorial" in nature. Jayalalithaa died on Dec 5, 2016 and the Commission of Inquiry was constituted the next year by the ruling AIADMK government following allegations and suspicions surrounding her death.